Last night the ULI Southeast Florida/Caribbean Vision Awards was a debutante ball for Miami urbanism and adaptive reuse: Lifetime Achievement was given posthumously to Tony Goldman, private sector Project of the Year went to the Lincoln Theater redevelopment, and one of the two Young Leader of the Year recipients was me. After thanking ULI and a long list of individuals who took a chance on me over the years, these were my remarks: I want to say a few words about great urban neighborhoods, neighborhoods like South Beach and Wynwood (really anywhere Tony Goldman invested), Little Havana, the North End, the West Village, the French Quarter, old Savannah and Cartagena, Harlem and Copenhagen. I want my kids and grandkids to have the benefits of these neighborhoods, the convenience, community, and culture. Many Dade County urban neighborhoods will be redeveloped in our lifetime, and each deserves to be great in its own way. For that to happen, we need to know how to build great urban neighborhoods, and how to do that predictably and consistently. The two most important principles are: don’t reinvent the wheel, and don’t wait for superman. Principle #1: Don’t reinvent the wheel. Most likely your favorite urban neighborhoods are all made up of many iterations of the same type of building: small and adaptable. Just building more of those buildings gets you 95% of the way to a great urban neighborhood. Principle #2: Don’t wait for superman. A great urban neighborhood is the result not of one hero, but of 1000 small property owners making 1000 small investment decisions. 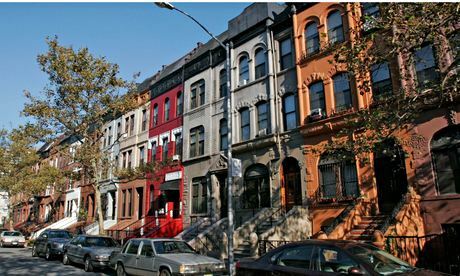 Their inherent diversity creates the neighborhood’s character and strength. But we don’t see enough of those neighborhoods growing or being built in Dade County. Why not? We put disproportionate burdens on small property owners, and the biggest burden comes from our legal framework, like required parking and water and sewer regulations. It is easier to get approval of 400 units out west than 8 units on a single lot in a central urban neighborhood. We as a real estate industry need to change so that, as my friend Ken Naylor says, small urban development is as rewarding as large development, be it urban towers or suburban communities. I will continue to dedicate my spare time – through Townhouse Center and other initiatives – to that cause because I think we deserve nothing less. From Guardian writer Lloyd Alter: "In New York, sleek new towers for the tenth of the 1% are rising through previously sacrosanct height limits. Critic Michael Kimmelman sums up the problem in one sentence: 'Exceptional height should be earned, not bought.' "Battles are raging over height limits and urban density, all on the basis of two premises: 1) that building all these towers will increase the supply of housing and therefore reduce its costs; 2) that increasing density is the green, sustainable thing to do and that towers are the best way to do it. "I am not sure that either is true. I am also a heritage activist, not because I particularly love old buildings, but because there is so much to learn from them and from the neighbourhoods and cities that were designed before cars or electricity or thermostats, and were built at surprisingly high urban densities. "There is no question that high urban densities are important, but the question is how high, and in what form. There is what I have called the Goldilocks density: dense enough to support vibrant main streets with retail and services for local needs, but not too high that people can't take the stairs in a pinch. Dense enough to build a sense of community, but not so dense as to have everyone slip into anonymity." "At the Goldilocks density, streets are a joy to walk; sun can penetrate to street level and the ground floors are often filled with cafes that spill out onto the street, where one can sit without being blown away, as often happens around towers. Yet the buildings can accommodate a lot of people: traditional Parisian districts house up to 26,000 people per sq km; Barcelona's Eixample district clocks in at an extraordinary 36,000. From Strong Towns writer Charles Marohn: "The Taco John’s versus the 'old and blighted' story is one of the most compelling that we share in our Curbside Chat. Here you have two blocks that are identical in every way, except one: the pattern of development." "The old and blighted block is a remnant of the incremental, historical development pattern. It represents one of the first increments of growth that cities experienced on their periphery; a small investment in a pop up box. This is the cheapest, credible investment that someone could have made in a commercial property here in my hometown back in 1920. In their comprehensive plan, the city has indicated that this block is a redevelopment opportunity that would, to use their language, ultimately become 'auto oriented'. "This is exactly what happened two blocks away, which used to look like the 'old and blighted' block but now contains a new Taco John’s. Definitely auto-oriented with a large off-street parking lot, two drive through lanes, a large sign and a setback/orientation consistent with highway development. "In this case, that run down block that the city and others would like to see replaced is actually 41% more valuable than the brand new Taco John’s. In a property tax system like we have here in Brainerd, that means the city gets 41% more taxes from the old and blighted block than it is getting from the exact same sized block with the brand new drive through restaurant. "And that assumes the drive through restaurant holds its value. Let’s examine that assumption. There are eleven properties on the 'old and blighted' block. In the three years since we last looked, five of them have lost value while six of them have increased in value. The net is a $32,000 decline, which is a 3% loss from the starting value. Given the market conditions, that’s a pretty stable block. "That stability is in sharp contrast to what has happened at the Taco John’s. In that same period of time, it has lost $184,700 in value, a full 23%." Full post here, and really just read every Strong Towns post ever. From Better Cities & Towns writer Robert Steuteville: "A 22-unit apartment complex of four small buildings was finished in May of 2014 in Chico, CA, completing the traditional neighborhood development Doe Mill, begun in 2000. The complex, designed by Anderson/Kim and developed by Greenline Partners, does certain things well despite its location on a car-oriented thoroughfare. -- It is small scale. The scale allows the buildings to be integrated with townhouses, single-family houses, and courtyard buildings that make up the rest of Doe Mill. Due to their small size, these buildings are easier to finance and simpler to build than many larger multifamily buildings. Rather than backing off of the higher-speed road in front, the units make an architectural statement. 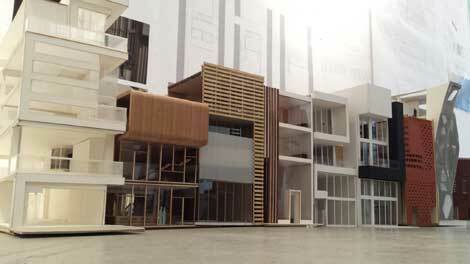 Rather than contributing to the sprawling character of this area, these buildings help to set a new pattern. The project made money. 'All 22 units have been leased at rents about 15 percent above the pro forma,' Anderson notes." From Urban Land writer Daniel Lobo: "The 21c Museum Hotel Cincinnati is a contemporary art museum, 156-room boutique hotel, restaurant, spa, and rooftop bar in the heart of downtown Cincinnati. The first full-service hotel to open in downtown Cincinnati in 28 years, 21c restored the historic 11-story Metropole building, preserving its original architectural character and complementing it with contemporary art and design. 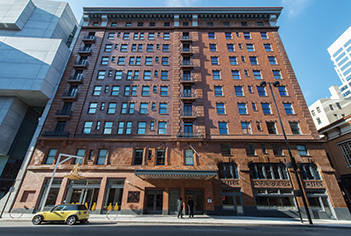 "Listed on the National Register of Historic Places, the Metropole building opened in 1912 as the grand Metropole Hotel, and in 1971 it was converted to federally subsidized apartments. In 2009, a local nonprofit development organization, Cincinnati Center City Development Corporation (3CDC), acquired the building for the purpose of revitalization, provided counseled relocation services to remaining tenants, and helped facilitate subsequent purchase by 21c." Full article here. Developer: 21c Museum Hotels. Design architect: Deborah Berke Partners. Architect of record: Perfido Weiskopf Wagstaff + Goettel. 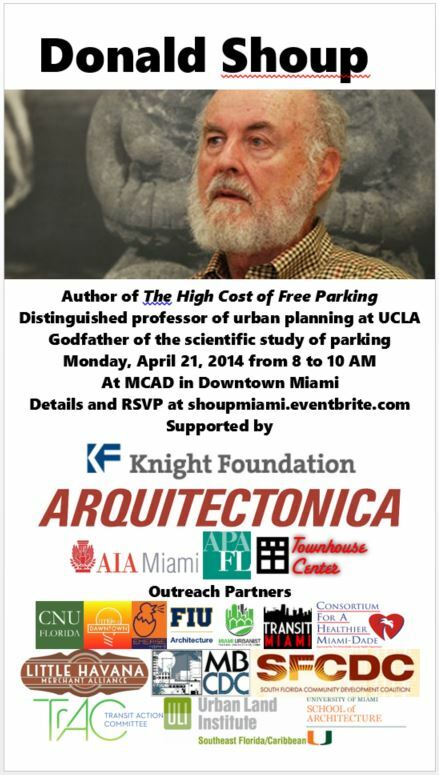 [Re-blogged from Miami Urbanist writer Felipe Azenha] Minimum parking requirements are killing good urban development in Miami. Luckily, there has been a push to eliminate parking requirements for small urban buildings (<10,000 sq ft) in recent months. This is a good first step in the right direction if Miami really aspires to become a walkable and less autocentric city. Minimum parking requirements perpetuate more automobile use and it also makes housing less affordable since the cost of building and maintaining required parking is passed on to renters and buyers. Two weeks ago Zillow released a housing report that cited Miami as the 2nd most expensive city for renters. The average Miami resident spends 43.2% of their income on rent. Combine expensive housing with lack of public transit and minimum parking requirements that only serve to perpetuate the use of the automobile; its no wonder why Miami is one of the most expensive car dominated cities in the US. Allows small developers to choose how many parking spaces are needed based on what fits and what buyers or tenants want. Replaces parking with denser development that generates more property and sales tax for the county and city. Allows small property owners to keep their property and develop themselves. Levels the playing field for small Miami property owners. Allows for the creation of more walkable and denser urban neighborhoods. Below are the details for the reduced parking requirements that are being sought for small urban buildings. This is currently being advocated for at the commission level, so stay tuned for the resolution. The proposed text for T4, T5, and T6 is [italicized] below. The non-underlined text already exists in Miami 21, a TOD/transit corridor parking reduction that does not apply within 500 ft of single-family/duplex areas (T3). The proposed text does not change that, it does not apply within 500 feet of T3. Above is a map of where the proposed text would apply: orange areas around rail stations, purple areas along transit corridors, but not yellow areas within 500 ft of T3. Let’s hope City of Miami Commissioners can come to their senses and eliminate parking requirements entirely, not just for small urban buildings. 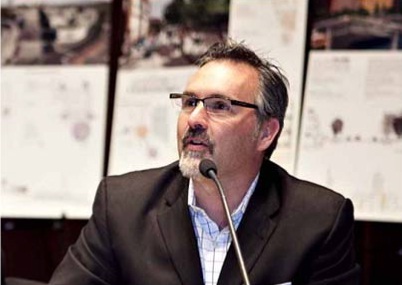 From ULI vice president David Mulvihill: "Jim Heid and I am very pleased to announce that the 2014 edition of theExecutive Small Scale Development program is being held this year in Austin, TX on March 24-25. We hope you can join us in Austin, one of the country’s coolest towns and hottest markets where small developers and edgy projects are helping reshape the landscape. "You will hear case studies from around the country about how other small firms are reworking inner suburban assets into lively third places; creatively using temporary buildings to brand place and test markets; or re-thinking how projects are organized and financed. Specific skill trainings in marketing and finance will also be provided as part of the program curriculum." From the event website: "Join other entrepreneurial developers who are focused on infill and smaller-scale projects for this unique ULI program." Register here. TownhouseCenter.org has received more than 75,000 views since the summer of 2010! Thank you very much, readers. And don't miss the free Lean Urbanism webinar registration at the bottom of this post. From Miami Herald writer Andres Viglucci: "Miami planner Andres Duany learned how to subvert the rules when he mapped out Seaside. Now, armed with a $600,000 Knight Foundation grant, he's taking aim at the rising tide of bureaucracy and red tape that he says prevent young builders and entrepreneurs from starting small-bore development enterprises to energize neighborhoods. He's calling this Lean Urbanism. "'To get a building built is fantastically complicated. The codes are rigamarole. There is no way you can figure them out yourself. So everything is left to big corporations and big developers,' Duany said. The idea behind the three-year grant is to develop and disseminate strategies and tools to work around overly restrictive rules, and lower the entry bar for Millenials and immigrants in particular, he said. "The Miami-based Knight Foundation sees Lean Urbanism as a key piece in its strategy for fostering an entrepreneurial 'ecosystem' in its hometown and elsewhere. The first year of the grant program, which will be run by Duany’s nonprofit, the Little Havana-based Center for Applied Transect Studies, will be dedicated to research and development of strategies, said Carol Coletta, the foundation’s vice president for community and national initiatives. The second year will see the launch of pilot projects. The third year will be focused on rolling out the toolbox and publicizing the projects nationally. "Miami is ripe for the strategy, Duany said. Overly restrictive regulations have stymied small-scale efforts to revitalize poor neighborhoods like West Coconut Grove and Little Havana even as big developers have dominated the city’s downtown revival." Full article here. Coletta added in a separate Knight Blog post: "Getting more people into city-building is fundamental to making communities that work for the 21st century. It is all about making small possible in our communities. Duany especially worries that bloated regulation on building and development is burdening a younger generation of urbanists and immigrants with so much expense that it makes small, incremental growth impossible." Full post here. Coletta and Duany will host a live webinar, “Lean Urbanism: Building Successful Cities,” on Tuesday, March 4, from noon to 1 p.m. ET. Register here. NTHP Green Lab report will "show data that small buildings play critical role in local economy"
From PreservationNation writers Mike Powe and Jeana Wiser: "When you picture the heart of a thriving city, what image comes to mind? You might picture a New York avenue, lined with spectacular, towering skyscrapers. A better image? Look to the neighborhoods just beyond the shadows of downtown’s corporate and condo towers, in the modest (yet bustling!) blocks of older, smaller buildings. "Just as skyscrapers have their advocates, they also have their critics. Just last week, Treehugger’s Lloyd Alter presented a strong counterargument against growing cities into the clouds, suggesting that new towers often serve as inefficient, expensive homes that often succumb to issues of vacancy. "Richard Florida has also suggested that skyscrapers often mute the 'spontaneous encounters that provide cities with so much of their social, intellectual, and commercial energy'. Meanwhile, Tim Halbur, communications director for the Congress for the New Urbanism, points out that while skyscrapers may boost a city’s supply of rentable space, they also pull life away from the street. "As Jane Jacobs argued more than fifty years ago, smaller buildings are tremendously valuable places for small, local businesses, and they set the stage for Jacobs' 'ballet of the good city sidewalk'. Human-scaled neighborhoods reward walkers with interesting window displays and a variety of small businesses to consider (see the work of Jan Gehl for more information). Small-scale blocks have diverse spaces that see incredible intensity of use throughout the workday and into weeknights and weekends. "This spring, the National Trust’s Preservation Green Lab will release a report that builds upon extensive city mapping and analysis to demonstrate the important role that smaller buildings and mixed-vintage commercial corridors play in fostering vibrant communities. We will show, with data, just how right Jane Jacobs was: Older, smaller buildings and diverse urban fabric play a critical role in supporting robust local economies, distinctive local businesses, and unforgettable places where people connect and unwind." Full post here. Seven50 Florida Plan includes "How Can Small Buildings Help Large-Scale Planning?" Yesterday the final Seven50 Southeast Florida Prosperity Plan was presented, read it on the website: "[Seven50 is] a framework that provides the seven counties of southeast Florida the ability to focus on major issues that go beyond city limits, county lines, state limits and national borders. These issues include: economic development, transportation, education, food supply, energy, leadership, climate resilience and more." The plan includes Guest Essays including one from Townhouse Center, reproduced below. "Seven50 is a regional plan, a big plan. The most vibrant urban neighborhoods, like Boston’s North End or New York’s West Village or Miami’s Little Havana, are made of many small buildings. What do big plans and small buildings have to do with each other? Plenty! "A regional plan can help small buildings by recommending certain policies. For example, to reduce development pressure on natural and agricultural areas, a regional plan might recommend that local governments directly create incentives or remove obstacles to building on small urban vacant lots, which are often plentiful but seen as costly or inefficient. "Or another example, less direct but equally significant: to make passenger rail more financially sustainable, a regional plan might recommend that local governments stop requiring that new buildings include off-street parking. This policy also helps small buildings because parking requirements disproportionately burden small properties. "Conversely, small buildings can help a regional plan achieve its goals. Small buildings add up to urban neighborhoods that are dense and mixed-use, which support walking, biking, car sharing, and mass transit. These neighborhoods promote public health and use water and sewer infrastructure more efficiently. Neighborhoods made of many small buildings (as opposed to a few big ones) help spread the wealth created by revitalization. "In fact, small buildings aren’t just helpful, they are necessary for some of the highest goals of a regional plan. 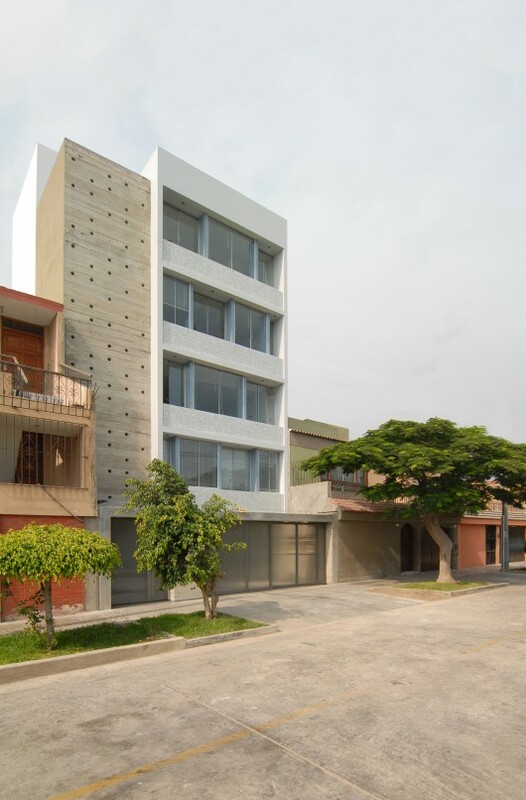 What are your ideas for how Seven50 can help small buildings?" From Preservation Nation writers Ric Cochrane and Jeana Wiser: "Small businesses are the backbones of communities throughout the country, exemplified by the countless individual stories and creative passions that together make Main Streets unique. Although places are as different as people, one thing remains true anywhere you look: Small businesses and Main Streets are underserved and often overlooked when compared to large chains and strip-mall suburbs. "The Preservation Green Lab, a department of the National Trust for Historic Preservation, believes that specific attention paid to the opportunity that exists in small buildings, home to Main Street businesses, may help level the playing field. "In a 2013 report, 'Realizing the Energy Efficiency Potential of Small Buildings', the Green Lab quantified the energy and cost savings readily available to Main Street businesses. The report focused on the primary challenges to delivering energy efficiency to the so-called hard-to-reach (HTR) small buildings sector, and also strategies to help realize energy efficiency. "Since the release of the Small Buildings report, the Green Lab has developed a national model for delivering energy efficiency to Main Street small businesses and buildings. The project, called America Saves!, received a $2 million Department of Energy matching award in July 2013 and has since received additional support for regional pilots in target markets. "The ultimate objective of America Saves! is to use energy retrofits to increase the profitability of Main Street businesses and the capacity of Main Street organizations. For the first time, small businesses and small buildings are the focus of national energy efficiency efforts and resources. This is good news for Main Street." "The America Saves! model will be tested in a select number of demonstration communities ahead of the 2014 National Main Street Conference in Detroit [on May 18-20]." Full article here.